We fund front line stroke prevention research on risk factor modification, human behavior and technology to continue to change the landscape of stroke. We fund technology research vital to the advancement of emergency and rehabilitative stroke treatment. Our funding approach, derived from our stroke expertise, is targeted, selective, and accelerated to obtain stroke answers. Now. Your generous contributions help advance new science and high-impact studies to prevent and treat stroke. Every donation makes a difference in finding stroke answers. Now. Our research grant program is the heart of our commitment to preventing stroke and improving stroke treatment. As clinical stroke experts treating cerebrovascular disease every day, we are uniquely positioned to assess and fund your stroke research projects expediently. From our perspective within clinical stroke treatment and research, we understand the importance of directing targeted research funds to the scientists and investigators who can move the best ideas in stroke research prevention and treatment forward. 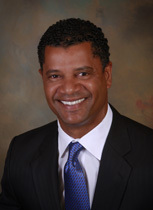 Dr. Jeffrey E. Thomas, Founder and Chairman of the Board of Directors of the Dr. Jeffrey Thomas Stroke Shield Foundation, is a cerebrovascular neurosurgeon with special expertise and interest in stroke. Dr. Thomas founded the Stroke Shield Foundation because he believes that prevention of stroke is among the most important and achievable medical tasks of the 21st century, and one with tremendous potential for public health impact. Ischemic stroke is defined by the deprivation of a part of the brain of blood, as when a cerebral blood vessel becomes occluded. Hemorrhagic stroke, by contrast, constitutes the minority of strokes (15%), and is characterized by bleeding in and around the brain. Stroke is the leading cause of adult disability and the fourth leading cause of death in the U.S. even though 80 percent of strokes are preventable. In the U.S., the total cost of stroke is estimated at $43 billion/year. The most important risk factors for stroke are hypertension, heart disease, diabetes, and cigarette smoking. High blood pressure is the leading cause of stroke and the most important controllable risk factor for stroke. By lowering your blood pressure, you can reduce your risk of developing a stroke. Atrial fibrillation (Afib) increases stroke risk up to five times and affects more than 2.7 million Americans. Current smokers have two to four times the stroke risk of nonsmokers or those who quit more than 10 years ago. Hippocrates recognized and described stroke-the sudden onset of paralysis, more than 2,400 years ago. In 1620, Jacob Wepfer was the first to identify postmortem signs of bleeding in the brains of patients who died of apoplexy. Over the last two decades basic and clinical investigators have identified major risk factors for the disease and have developed surgical techniques and drug treatments for the prevention of stroke. In 1996, Tissue Plasminogen Activator (tPA) was approved by the FDA and can reverse the course of stroke if given during the first few hours after the onset of symptoms. Future….with targeted funding directly for stroke research…we can STOP stoke before it happens.